Congratulations, you are on your way to owning your very own home! 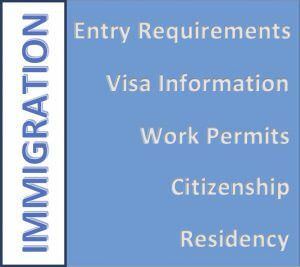 Below you will find information on immigration procedures that you may have questions or concerns about. Bahamian immigration rules are designed with the view that everyone wants to immigrate to the tiny Bahamas- which, if this were to occur, would sink under the weight. Consequently, while tourism and investments are encouraged, true immigration is possible but tightly controlled. Visas, work permits and residency permits are available. Generally, everyone entering The Bahamas except Bahamians MUST fill out an embarkation-disembarkation card usually provided by the travel agent, airline or ship. Non-residents surrender the specified part when departing. The Bahamas is a major tourist destination, so we make every effort to keep visitors’ Immigration formalities to a minimum. However, entry requirements do vary from country to country, so nationals of non-Commonwealth countries should enquire at the nearest British Consulate or Bahamian Embassy for information on these. All visitors must have a return or onward ticket, and a valid travel document (such as a passport and visa) to allow entry into another country as applicable. Visitors may also be asked to produce evidence of sufficient funds to allow them to be self-sustaining whilst in the Bahamas. Visitors may remain in the Bahamas for a maximum period of 8 months, provided that (s)he can support himself / herself or indicate other means of support for this period. Please note that the maximum period of stay, documented in visitors’ passports, may vary, as this is dependent upon the discretion of the immigration officer at the port of entry. Should you desire to extend your visit, permission must be sought from the Department of Immigration; please visit your nearest Immigration Office. Visitors are not allowed to engage in any form of gainful occupation (work) while in the Bahamas. Passports are required by all persons entering The Bahamas. United States Citizens entering as a bona fide visitor for a stay not exceeding eight (8) months. Alien residents of the United States who, upon arrival, are in possession of United States Alien Registration Cards for visits not exceeding thirty (30) days. Canadian citizens Landed immigrants, in possession of Canadian Immigration Record Form 1000 may enter without a visa for visits not exceeding 30 days. These persons should have a national passport. For detailed visa requirements for all other nations please click here. Proof of citizenship is required, however, and may include: U.S. Passport, even if expired; birth certificate, baptismal certificate bearing church seal; original naturalization certificates. Unacceptable documents (except as supporting information): Social security cards, voters registration cards, membership cards, drivers licenses. Visas are not required for U.S. citizens entering as bona fide visitors if stays are eight months or less. Each work permit is for a specified person and job. A permit holder may apply for a new permit for a new post without leaving the island.